How using a simple content landing page can relaunch a website. Today I’m going to show you how I relaunched the Worldbuilding School from a dead and dying blog into a popular worldbuilding website. And, how I increased it’s traffic… in one weekend. Without spending a penny on marketing. 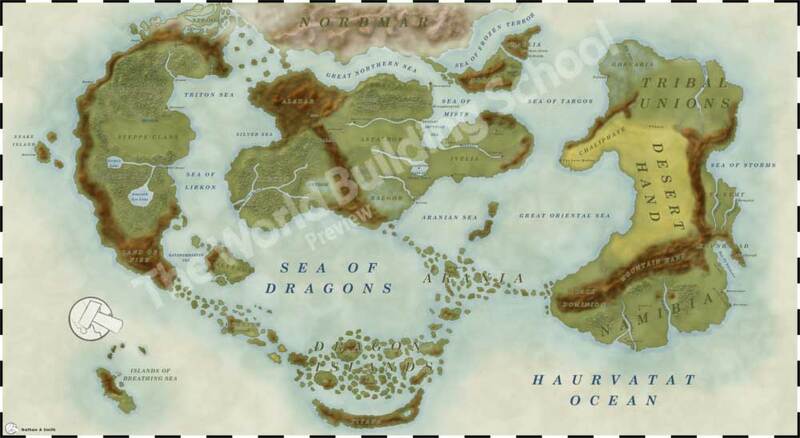 The Worldbuilding School is a website dedicated to helping authors, artists and games masters build their own fictional world. In this case study I’ll walk you through the EXACT steps I used. Before I reveal the step by step process I used I want to show you the results. This is traffic from November 2010 (when the first article was published) to April 2011. Throughout this 6 month period 9 articles were published which brought it 181 unique users. Yes, that is 181 visitors in 6 Months! And here is the traffic when I relaunched the WBSchool blog in June 2012 to November 2012. In this 6 month period 4,242 unique visitors came to the website. In total over 15,000 pages were viewed. So what happened at that big spike on August 10th 2012 to create such a surge in traffic? To date this one page has generated over 30,132 unique page views and continues to beat the home page for number of monthly pageviews. Not only that but it also drives traffic deeper into my website. The 8 pages that are linked from this content landing page are 8 of the highest viewed pages on The WBSchool. It has been shared over 223 times on social media and brought over 900 visitors on it’s launch weekend. Because the site had a back log of great content the huge spike of traffic never truly died down. Before the traffic surge The WBSchool averaged 30 page views a day; after the surge it received an average of 130 page views a day. That’s a x10 increase every day and it kept on growing. As of June 2015 the site gets around 300 – 400 views a day. Here’s a screenshot of last month’s traffic (June 2015) for this one page. Here’s what I did to drive over 900 new visits to the Worldbuilding School in one weekend. On this new page I wrote an introduction titled “Why do I need a map?” which helped to not only introduce the 4 articles but it also added more content to the landing page. A link to each article was then added to the page with an image and blurb. Finally an email sign up box was added to the page. In the launch weekend of the guide email subscribers jumped from 19 to 54. That’s a 120% increase all from one email box. Even today this one page beats the WBSchool home page for number of page views. And, it also accounts for at least 50% of the email sign ups. At this point in the campaign “The Author’s Guide to Drawing Maps” has 4 articles, an introduction and an email sign up box. This is something you can easily do to add more depth and power to your existing articles. It’s true. Promotion is what drove all those people to view the guide. What Sonia means by that is Google doesn’t care about making you and your website popular. It only cares about you when your website is already popular. Just like a mean high school girl. So referral traffic from other websites was key to the success of this relaunch. One of the tricks up my sleeve was DeviantART which is a social website for artists. There were 3 aspects to this campaign. You can take these 3 aspects and use them on any similar social network no matter what your niche. DeviantART is all about sharing your artwork with fellow artists. So I published a number of maps I’d drawn to my profile. This provided content for people who visited my profile and also showed them that I not only had theory on how to draw maps but that the results were quality. At this time I was also commenting on other artists profiles, artwork and journals which created an interaction between and quite a few people came back to my profile where I’d set the Author’s Guide as a featured image. If there’s a signature, use it. DeviantARTlets you create a signature that can have links in it. I put a direct link to the Author’s Guide with a strong call to action to read. So every time a comment was added there was also a link for the recipient and their profile visitors to see. One of the most powerful features on DeviantART and many other social networks are groups. By sharing your artwork with a number of groups on DA it’ll get seen by 1000’s more people than on your profile alone. On the launch weekend The Author’s Guide was shared to 21 groups which helped to gain attention and attraction to the article. At the time of writing it the DeviantART image has 5,316 pageviews. It it wasn’t for those groups? I bet it wouldn’t have half of the pageviews. In this example the answer was simple – create my own. So on DeviantART I created The Worldbuilder’s Guild. Why was the answer simple? Well, there were other groups dedicated to fantasy, scifi and even a couple focused on worldbuilding. However, many of them were quiet and dying groups. Added to that, I could see a way to create an unfair advantage. This unfair advantage the Worldbuilder’s Guild did differently is we split our art folders down by category of art. E.g. The other worldbuilding groups split their art folders by planets or individual worlds. This made their galleries really hard to browse through if you wanted specific inspiration around a topic such as finding a new monster. We also focused on reaching out to the best artists on DeviantART and inviting them to submit their art to our group. So the galleries are full of high quality artwork. Over all using DeviantART in this way took a lot of time, energy and effort however it certainly helped to build up a following for The Worldbuilding School. However, always remember that social should be an outpost not your homebase. In other words what ever you build on a social network should always be designed to drive traffic back to your website or email list. Let’s go back over what we achieved. The WBSchool started with only 181 visits in it’s first 6 month period and through the use of a solid content strategy it’s relaunch gained over 900 visits in one weekend, plus it now ranks on the 1st page of Google for the terms “worldbuilding” and “world building”. Would you like similar help with your content marketing strategy? Hire me.